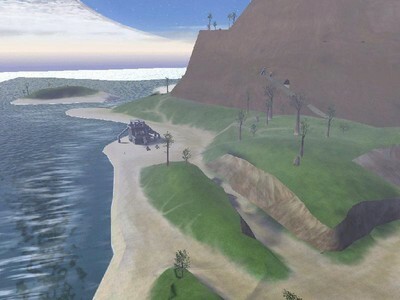 Description: A lone isle set on Halo installation 03, fox island has multiple abandonded forerunner structers, towers, bases and a ancient shrine dedicated to the mysterious and enigmatic figure known as fox enigma. I'm glad to finally get this map finished. It was fun making it, but after many months it's time for me to move on. There are a lot of things that I'm not happy with. For one, the water isn't stretched out enough to make a whole ocean. Radiosity just took me 57 hours to run, so I wasn't about to make any more modifications and make the ocean bigger, it serve's its purpose. 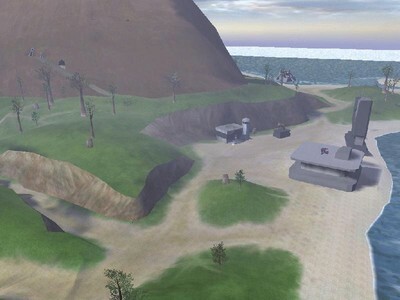 Well, this map was a good learning experience. It is the first map that I have finished and released. I hope you all have fun with it, whoever's left playing CE. Any questions or comments PM me at the Gearbox Software forums.